This is your first and last warning; I'm about to spill about the top secret contents of the RJR Contemporary and the Free Spirit 1 Yard Mystery Boxes I purchased on Craftsy. If you prefer to be left in the dark, avert you eyes NOW! Disclaimer: Even if you order the same boxes, the contents may vary from what mine contain. Still too criptic? Let me break it down. 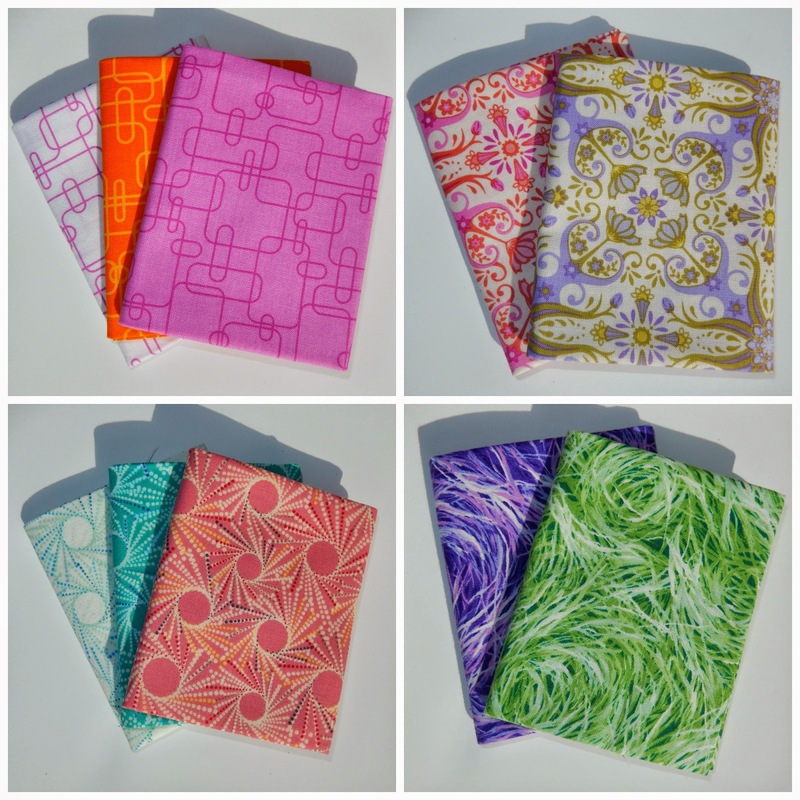 The RJR Contemporary Mystery Box contained four fat quarters (1 yard total) of each of the fabrics shown below. Going clockwise from the upper left, the collections are Welcome to My World by Sue Marsh, Cold Spring Dreams by Mary McGuire, and Flutter by Alex Anderson (two bottom photos). 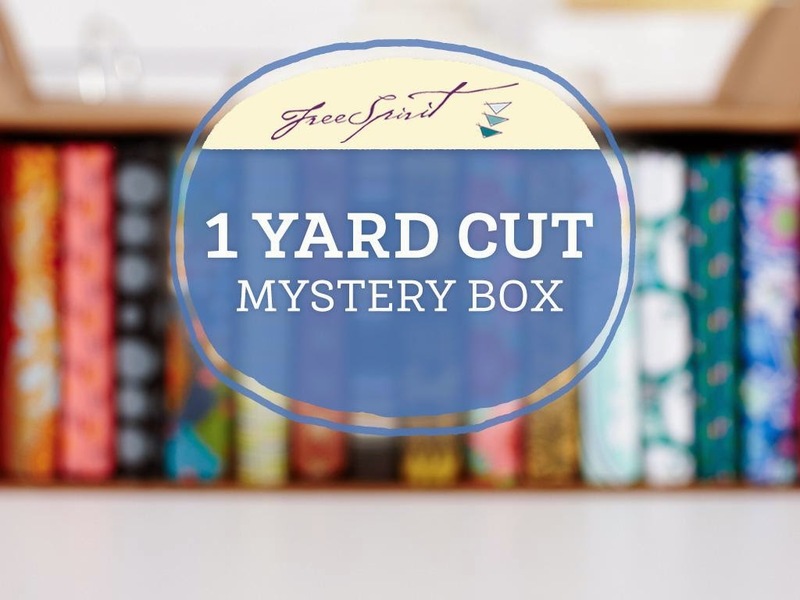 What about the Free Spirit 1 Yard Mystery Box? It was dominated by seven yards of Tina Givens' Riddles and Rhymes. 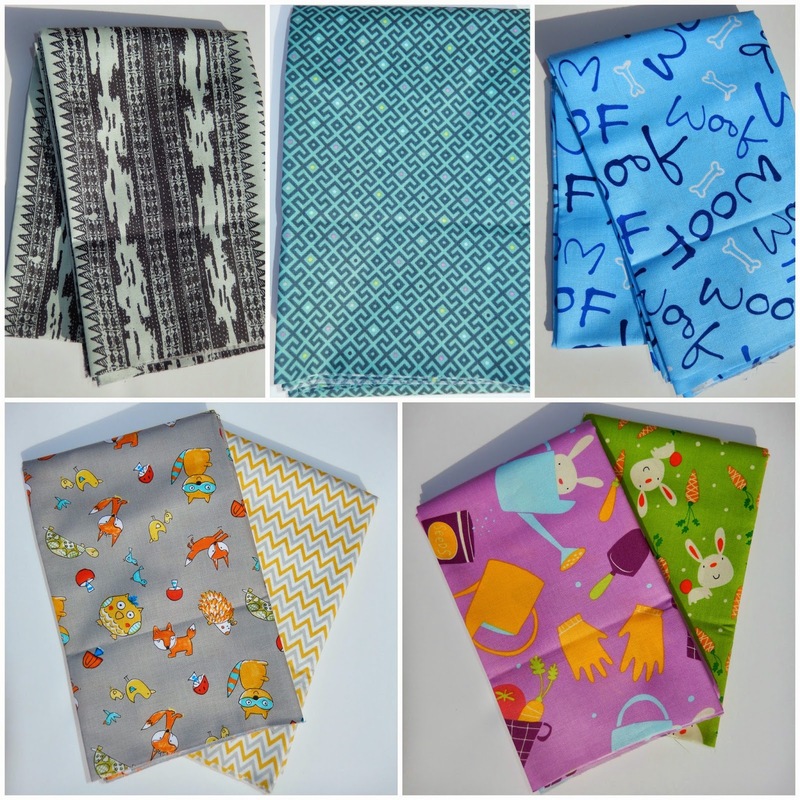 Also included was Sherpa Coulier from Vagabond by Parson Gray, Baby Geo in Dusk from Fox Field by Tula Pink, Wolf Blue from Paw Prints by Kathy Davis, a couple prints from Fox Playground by Dena, and a couple novelty prints from Garden by David Walker. That's enough secret-telling for now. See you next time! I have never ordered a mystery box because I was a bit afraid of the 'mystery' part - now I can see it is something I will do in the future. Thanks for sharing! First time I see a mystery box, there isn´t in my area,thanks for the pics! Interesting! I have wondered if those would be worth it! Thank you for sharing your 'haul'. I really happy to see what is included (for the most part)! Thanks for sharing. 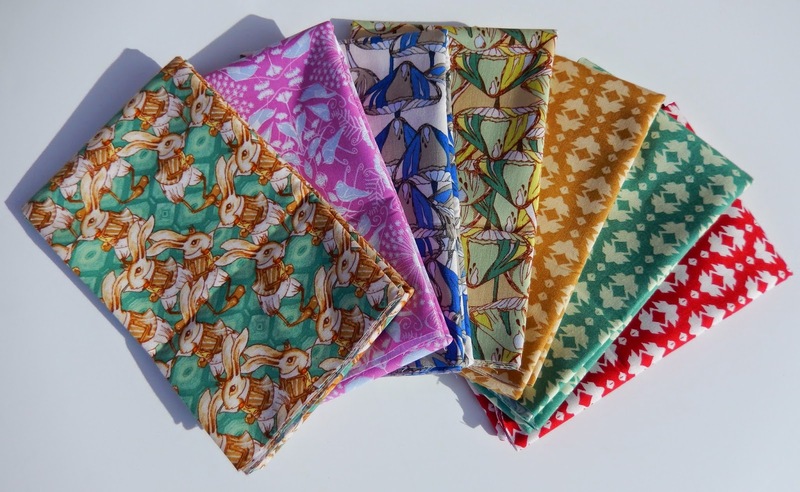 I love seeing tutorials and beautiful fabric, that's what keeps me coming back to a blog! !